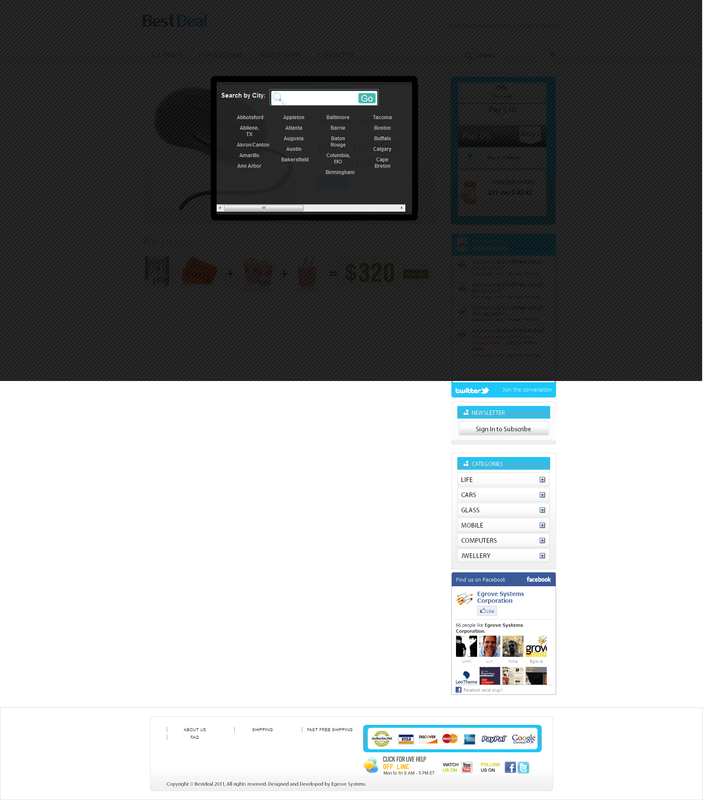 Py Group Deal - Group buying script loads faster and has an appealing User interface! 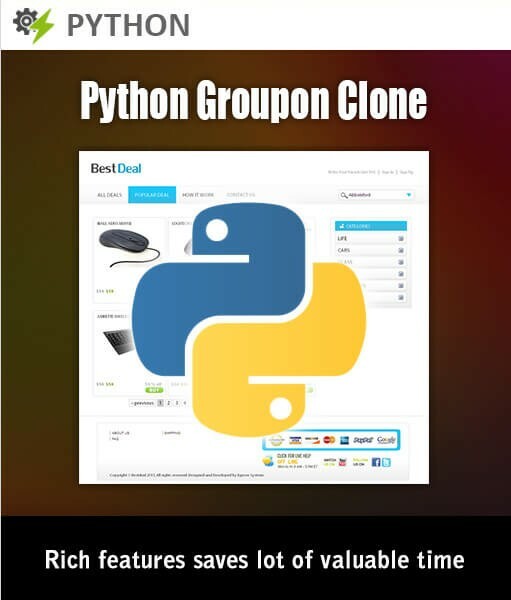 Introducing the only Python script based “Py Group Deal” Groupon Clone script. Intensively tested and very much appreciated by the Administrators, Merchants and Users as well! Acquire Your Own Group Buying Website Now! 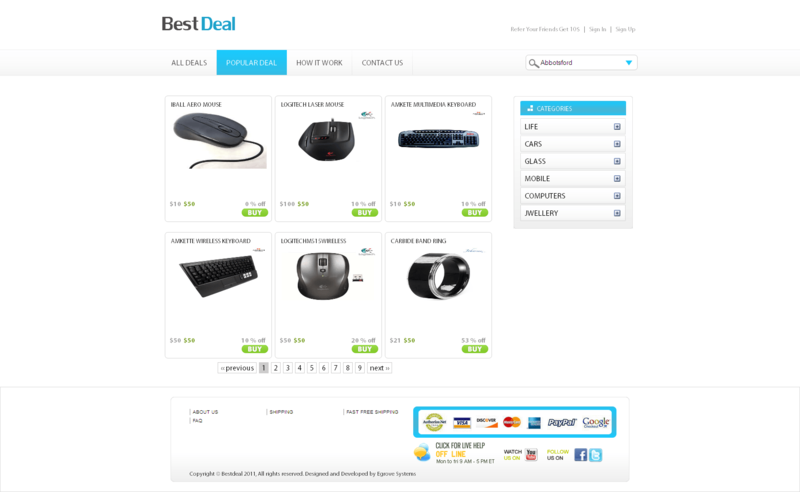 It is the best way to begin your Groupon-Like Site! 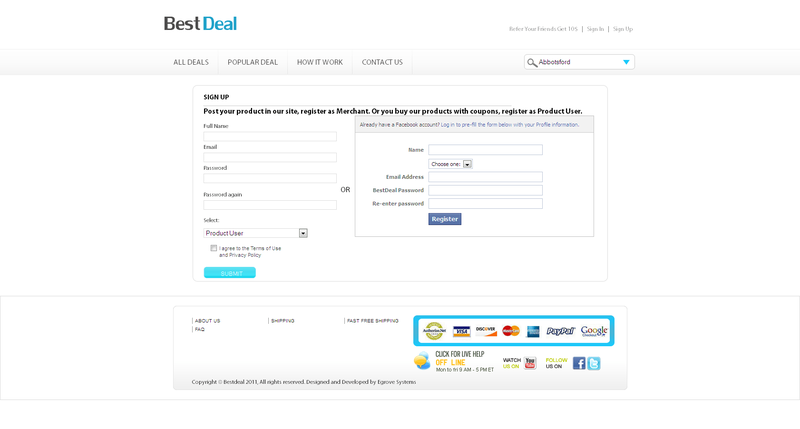 PayPal Pro is the ideal payment gateway for product purchase. PayPal Pro will be most suitable to authorize the initial stages of the deal. Upon reaching minimum subscriber levels, the Authorized deals will have to be captured. Multiple user payments can be simultaneously processed using ‘Mass Payment’. 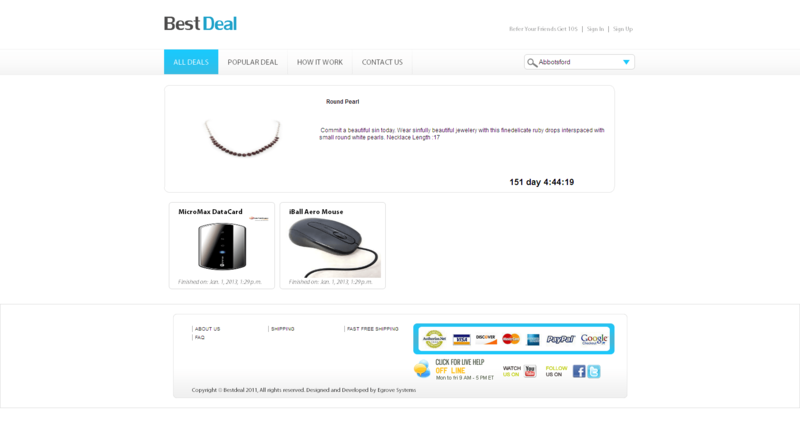 Upon successfully reaching the pre-set maximum deal count, all user payments can be processed. Mass payments can be processed. Option to enable the user to subscribe to information about a particular product. Upon successfully subscribing, the user gets updates on the product in his inbox, whenever the merchant or Admin updates the product. Option to refer friends by using ‘share our link’ and ‘comments’ features. Option to refer more friends by importing contact list from the user’s Gmail account. Merchant login has an option to generate reports with XLS (MS Excel) format. Reports provide precise and detailed information to the merchant about any selected product. The site administrator can generate the reports for the entire product range. Option for the Merchant to create a coupon code. 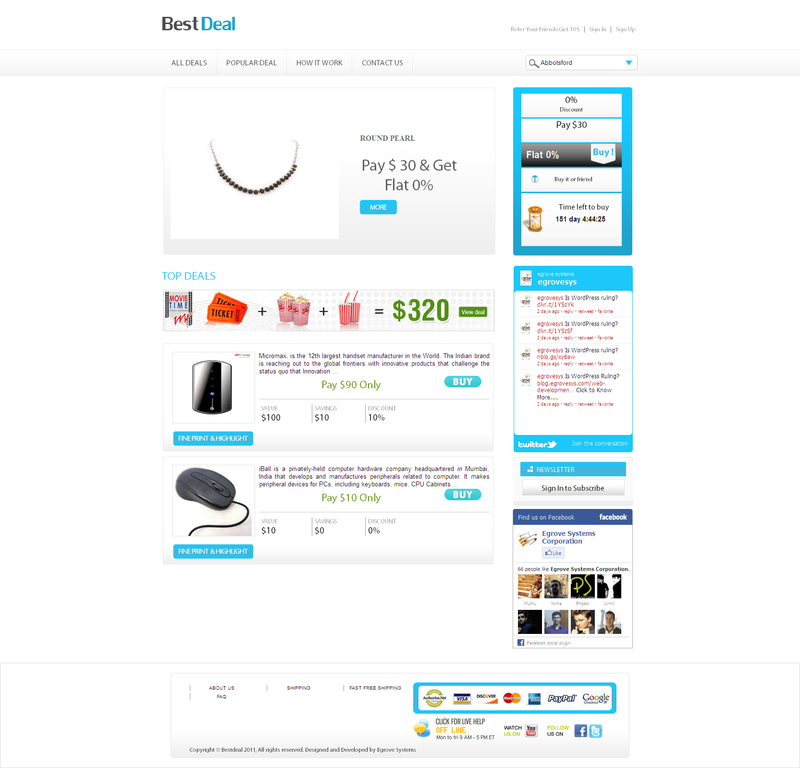 Coupon code will also contain information on the value of the coupon and validity. The merchant then sends this coupon codes to the user’s email id. 1)The Merchant has the option to check the status of the coupons issued. 2)Used and Unused coupons can be tracked. Option to display products by the category. Available Products can also be displayed by city. User can sign-up / login using Facebook account. 1)Change the main product image. 3)Activate a single product or a group of products available for a specific period for users from a particular city. 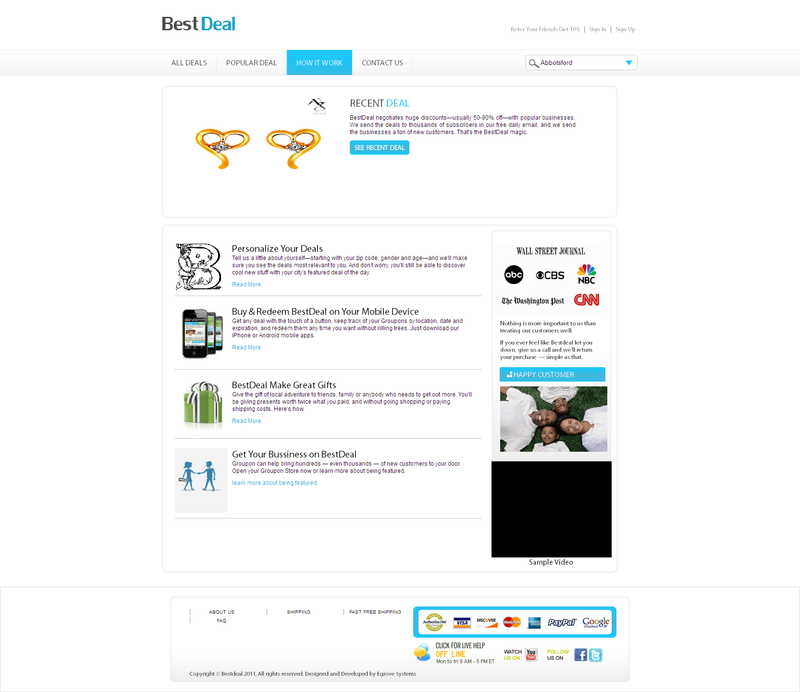 Option to display Image Slide show for deals. User can view their Gift history anytime.Option to crop the image that has to be displayed. Merchant can add city specific products. We understand how important support is, especially to users who are new to e-commerce and the Internet in general. We provide a number of free online resources that you can use plus you can contact us at our Online Chat or Help Desk Ticketing System if you need quick assistance. Mail us to support@egrovesys.com for more enquires. If you have a pre-sales or general non-support query email us to sales@egrovesys.com and our sales team will be happy to assist.